The evening of international choregraphers Erick Guillard, Gabriel Wong, Kaori Ito and Martin Dvořák. Company Pro ART for the first time enters the dancing scene with choreographies of international choreographs. It thus supports the cooperation it intends to strengthen. During the Pro ART festival a number of exceptional dancers-choreographs-pedagogues arrive. ProART would not only like to benefit from their “searching projects” on the amateur field, but also introduce them in its own repertoire of a professional dancing theatre. We hope that our efforts will be appreciated. M.D. 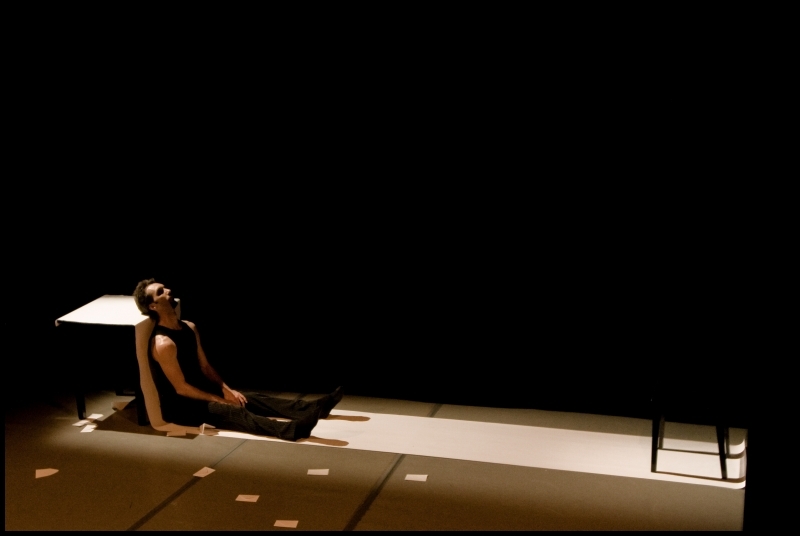 Spontaneous choreography about an experience exchange of two talented dancers and choreographs who have a lot to share. We all experience a feeling of misuse however this short piece sets out a task to entertain, not to reflect about abuse of an individual’s freedom. Dancing drama for a dancer-actress Irene Bauer, a solo dancer of The Ballet Linz. Giving a birth to a child not always brings the pleasant duties and euphoria. There are cases where mother „pays“ for the happiness and joy. That is when we turn to something higher what exceeds us and brings salvation. Dancing confession for a man and a woman (6 solos for two). Highly artistic choreography about the images of a woman and her feelings in the course of a time. An image and a meaning of a beauty keeps changing. It is adventurous finding yourself and your own concept of beauty over the fragments of time. In the middle age men chose the image of the beatiful woman to present the world, as the Cathédral Notre Dame in Strasbourg shows a woman in a slightly shifted position, you are able to see her face as well as the back, which is covered by snakes and frogs. (The light and the dark) E. G.
Fantasy choreography about internal and visual changes of an individual dependent on his consumption, acceptances, absorptions and inhaling. „This product is specially made for you. What you get out when you give in...“ G. W.